While en route to Coruscant, Slave I picked up a distress signal from a ZZ-class freighter, Mingula. The entire crew was dead. Boba took a prisoner, Tsumo, with him onboard the freighter. There was another prisoner in the hold named Chung. They found Volpau, third cousin of Emperor Palpatine, in a death casket with a royal amulet in it, and the dead crew with boils all over them. Ubuugan fleshborers came out of their bodies and attacked Fett and Tsumo. Tsumo was infected and died from the fleshborers. Because of Fett's Mandalorian armor, the fleshborers didn't make it through. The fleshborers had eaten through the airlock and boarded Slave I. Boba torched the fleshborers but the flames were heating the power cells. He then escaped through the waste chute. The Mingula exploded and Slave I intercepted Fett. 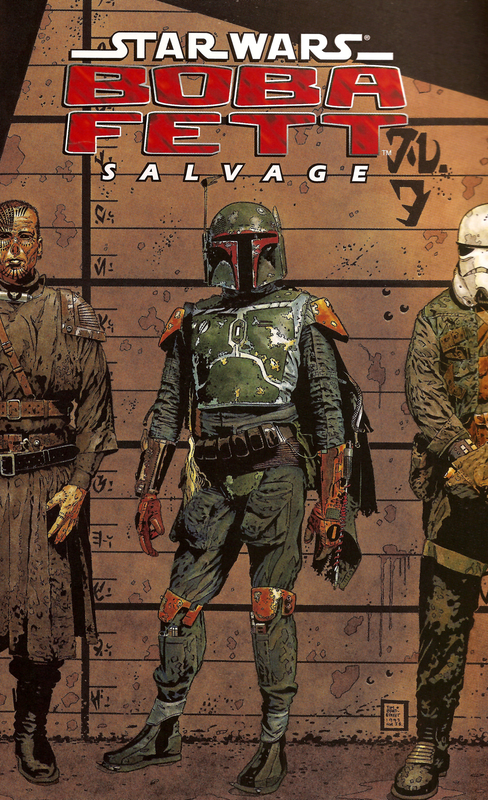 Thinking that the fleshborers are still on the ship and that Chung is dead, Boba rushed to the prisoner hold. There, Chung is eating the dead fleshborers as a snack. Fett has lost Tsumo, but gained a royal amulet.